← Complacency Reigns Supreme–Nothing Can Possibly Go Wrong, Right? What the Heck Is This War About? Confused about the war in Yemen? Yemen – previously called “Aden” – has one of the oldest civilizations in the Middle East. But it has been racked with violence for a long time. In the 1960s, a pro-Arab nationalist faction clashed with the British – who wanted Yemen to become a Western-controlled natural resource hub – and devolved into brutal fighting, with both sides using terrorism. Yemen’s first president – Saleh – was in power from 1990 to 2012. The U.S supported Saleh, but Saleh was a double-dealing scoundrel. The Arab Spring protests ousted Saleh, and America helped broker immunity for prosecution in return for his leaving office. Although a Shi’a group, Zaydi theological differences with Sunnis are few …. Hadi is such a traitor to his own Yemeni people that he is calling for a foreign power – Saudi Arabia – to keep bombing Yemen until his opposition is defeated. But – here’s the kicker – guess who is behind the Houthi revolt that led to the taking over Yemen from Hadi? If you guessed Iran, you’re wrong. 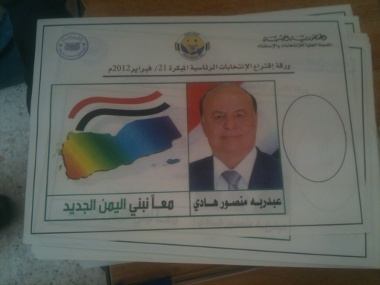 It’s deposed president Saleh! He’s baaaaack! Indeed, the reason that the Houthis were able to take over the country so quickly is that many of the troops and police are still loyal to Saleh. So – at Saleh’s instruction – while the Houthis advanced, the soldiers and guards simply walked away from their posts when Saleh told them to scram. Many are calling this a proxy war between Saudi Arabia and Iran. But it’s not. Initially, Saudi Arabia is directly bombing Yemen. It’s not doing so through a proxy. Moreover, while Iran is sending the Houthis some money, this is really a power struggle between two corrupt idiots: Saleh and Hadi. Iran is not very involved.